Model and entrepreneur Blac Chyna recently sat down with DailyMailTV to discuss her career, her relationships, and her aspirations. The interview touched on a myriad of subjects giving fans and critics of Chyna alike an intimate glimpse into her life. 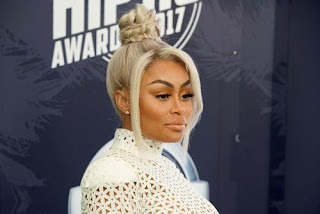 During the sit-down, Chyna took a moment to clear up the misconception that the Kardashian clan are responsible for catapulting her to fame, and made it known that she was a celebrity long before the E! Entertainment cameras captured her infamously conflict-ridden relationship with Rob Kardashian.